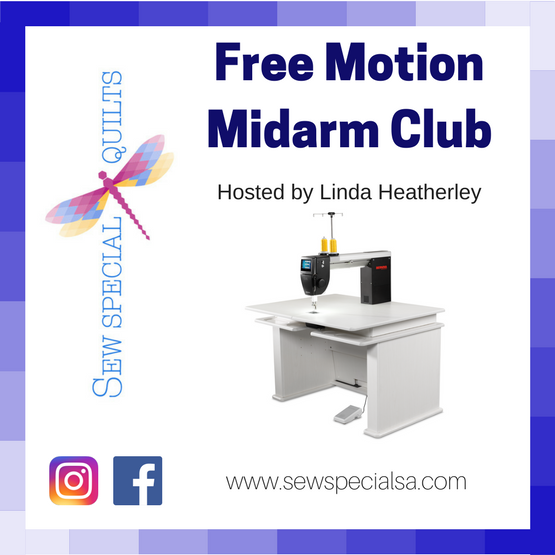 Linda Heatherley (free motion quilter extraordinaire) hosts this fun and informative club. Free motion techniques will be explored as well as ruler work. Don't forget to bring your Show & Tell's! FREE if your Mid-Arm was purchased at Sew Special Quilts. If you did not purchase from us please call 210-698-6076 with payment.